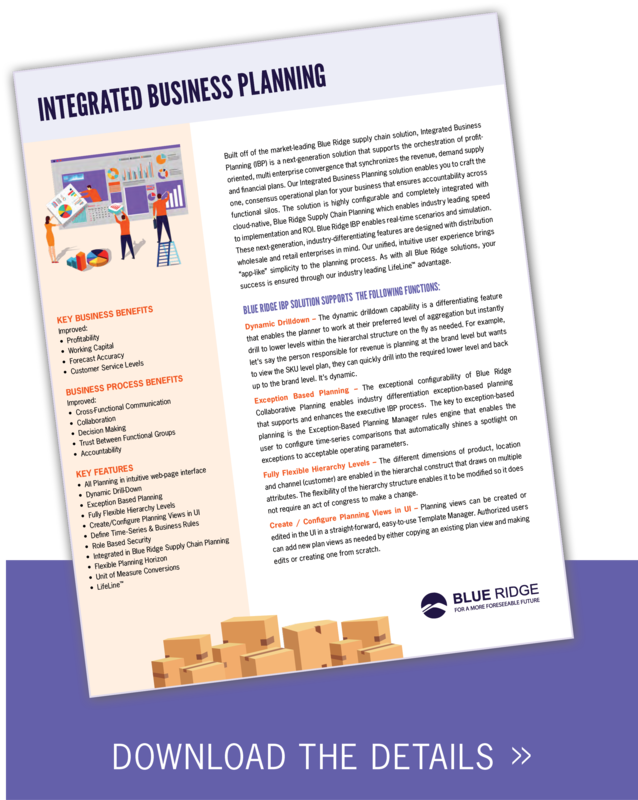 Built off of the market-leading Blue Ridge supply chain solution, Integrated Business Planning (IBP) is a next-generation solution that supports the orchestration of profit oriented, multi enterprise convergence that synchronizes the revenue, demand supply and financial plans. Our Integrated Business Planning solution enables you to craft the one, consensus operational plan for your business that ensures accountability across functional silos. The solution is highly configurable and completely integrated with cloud-native, Blue Ridge Supply Chain Planning which enables industry leading speed to implementation and ROI. Blue Ridge IBP enables real-time scenarios and simulation. These next-generation, industry-differentiating features are designed with distribution wholesale and retail enterprises in mind. Our unified, intuitive user experience brings “app-like” simplicity to the planning process. 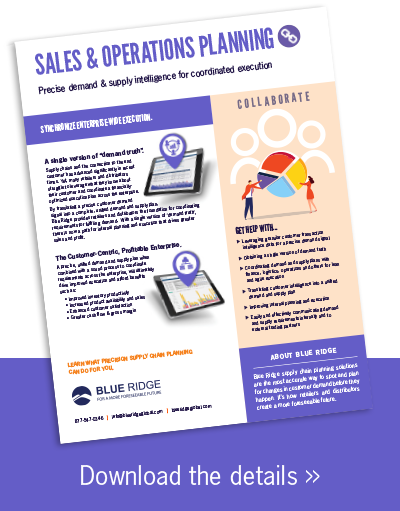 As with all Blue Ridge solutions, your success is ensured through our industry leading LifeLine™ advantage. By translating a precise customer demand signal into a complete, unified demand and supply plan, the Blue Ridge cloud-native supply chain solution provides retailers and distributors the foundation for coordinating requirements for fulfilling demand. 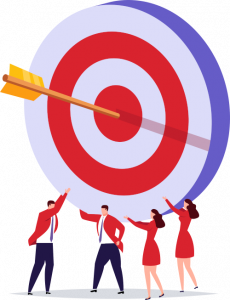 With a single version of ‘demand truth’, there is now a path for internal planning and execution that drives greater sales and profit.A precise, unified demand and supply plan when combined with a sound process to coordinate requirements across the enterprise, will ultimately drive improved execution that provides improved inventory productivity, increased product availability & sales, enhanced customer satisfaction and greater cash flow & gross margin. See how our solution enables profit oriented, multi-enterprise convergence to synchronize revenue, demand supply and financial plans.